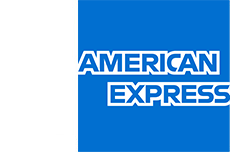 Across eleven nights of open-air gigs, Somerset House Summer Series with American Express brings a vibrant festival atmosphere to the very heart of London. With a programme of pioneering musicians across a range of genres, Summer Series gives music fans a live experience unlike any other, with the rare chance to see critically acclaimed artists plus some of the best up and coming performers in a spectacular yet intimate setting. A select number of Enhanced tickets are available for an additional £25.00. Ticket holders will be given access to the private East Wing Bar, supported by San Miguel, with a free drink on arrival (wine, beer or soft drink). Please note the East Wing Bar sits alongside the courtyard but does not offer a clear view of the main stage. The bar is open throughout the concert and your drinks can be taken into the main courtyard.